This storytime was inspired by Amy Koester’s Color Science post on the ALSC blog about incorporating STEM and science into preschool programs. In fact, after I read her post, I decided to develop my series of summer STEAM-y storytimes. This week, I began storytime with the Song Cube. It continues to be a hit. Now that kids know about the cube and how the game works, we usually have two or three roll the cube and choose the song to sing. One of the great reasons to use the cube is that kids are learning that visual symbols on each side of the cube refer to specific songs and then that letters/words below the image when in specific combinations refer to a specific song. In other words: image of smiling sun + words written below the image = If You’re Happy and You Know it song. The songs are also fun, familiar, and rhyming, further extending the early literacy learning opportunities. It’s amazing what will fit in one small cube! 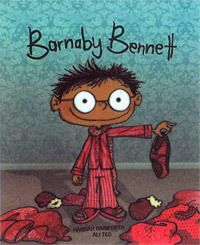 Barnaby Bennett by Hannah Rainforth and Ali Teo (Huia, 2006) is a fun book to read about a boy who’s favorite color is red and who will only wear red until his aunt designs him a fabulous yellow dinosaur-inspired suit to replace his unwashed attire (including his red underwear). The book is full of alliteration, opportunities for learning new vocabulary, and color identification, all in a way that inspires interaction. Perfect for storytime! In between books, we needed to sing and stretch. The Color I See song does both. I use colored felt shapes on the flannelboard to reinforce the color I am going to call as we sing each verse. That gives kids time to check if they have the color they see and I say. If you are wearing red then show it to me. Stand up and turn around. Show me your red and then sit down. 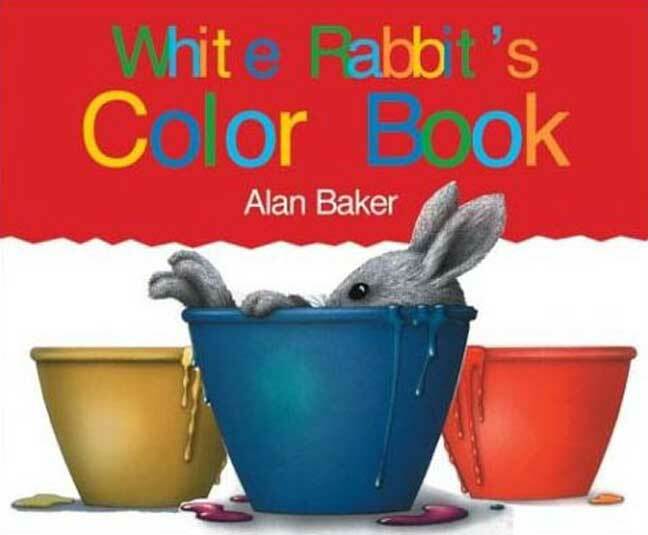 White Rabbit’s Color Book by Alan Baker (Kingfisher Books, 1999) was a perfect lead in to the acitvities we planned for storytime. The little rabbit hops into bowls of paint, mixing colors to create different ones. The kids loved guessing what the new color would be and quickly learned about what happens when primary colors are mixed. As happens in storytime on occasion, I didn’t read this book as written but focused on the conversation it generated. Either way its a great addition to colors storytime. 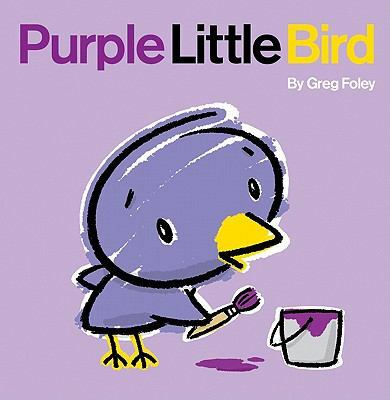 Purple Little Bird by Greg Foley (Balzer + Bray, 2006) is about a purple little bird who loves purple, especially his purple house and garden, but its not quite perfect. He sets off to find a perfect world. He finds it, but unexpectedly. It’s a sweet story, especially for the many purple fans at storytime. colors change and the bubbling. Parents and caregivers also experienced how easy it is to A tray, a small pile of baking soda and squeeze bottles of vinegar colored with blue, red, introduce scientific concepts to little ones. For each young artist, I placed a new sheet of white or black card stock in the bottom of one of four plastic tubs we had set on top of a table covered with a plastic tablecloth. Then the teen volunteer or I squirt a dime-sized amount of yellow, blue, or red onto the paper. On their own, or with the help of an adult, the budding artists slid a marble or small rubber bouncy ball from side to side or in circles over the paper and through the paint. The action creates all sorts of shapes and patterns on the paper.with marbles is fun and easy for all ages! It’s also less messy than finger painting or using brushes because the paint stays inside the tub, for the most part. Tip: Write kids’ names on the back so they can find their painting if left at the library to dry. 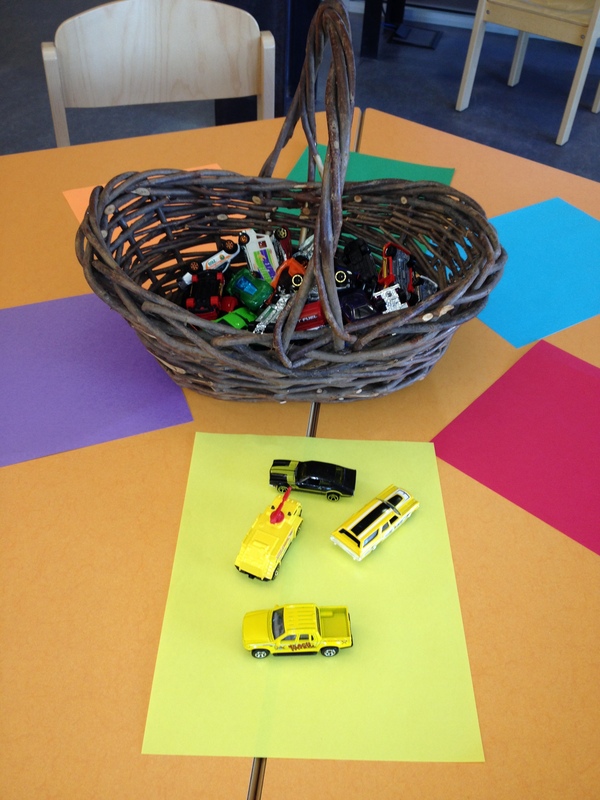 Lots of little ones were thrilled when they discovered toy cars in the basket I placed at the color matching station! I’ve used these cars before, but they made a good addition to this week’s storytime. I taped sheets of colored construction paper on a round table and showed kids how to match cars to the colored sheets. After the obvious matches were made, I asked lots of questions about matches using the finer details. For example, the wheel hubs were orange on one car even though the rest of the car was green and we decided to put it on the orange sheet. After the matching was done, the car enthusiasts took the basket to the carpet for some vehicle play. Just about every child found not just an activity to sample, but at least one to explore thoroughly, repeating it over and over again. 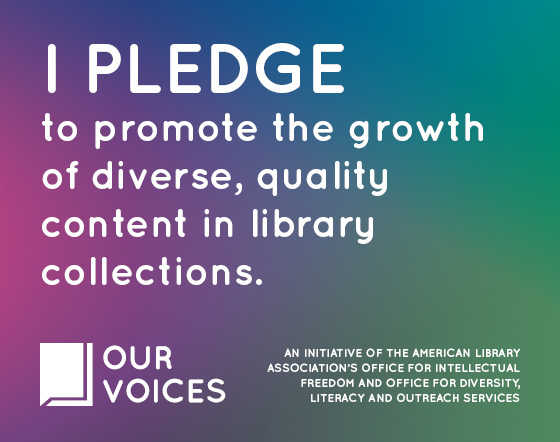 We gladly offered them the time, ideas, and resources to do it.